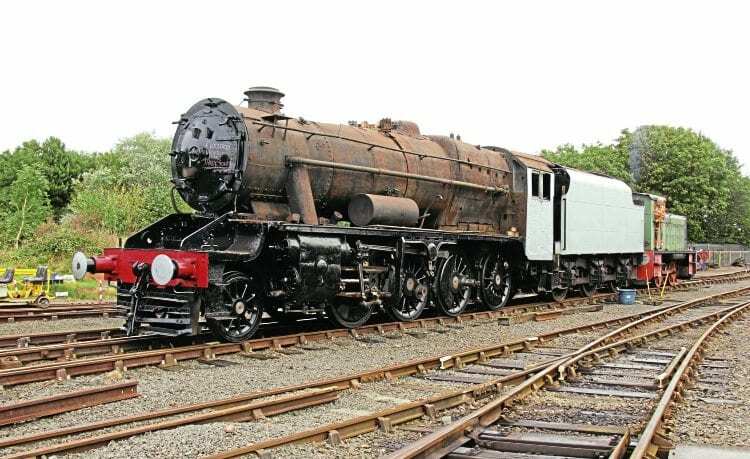 A GRANT of £5,000 from the Hugh Fraser Foundation has enabled the Scottish Railway Preservation Society to meet the £122,000 purchase price to acquire ex-Turkish State Railways (TCDD) ‘8F’ 2-8-0 No. 45170 from owner John Oldcorn. The majority of the funding to buy the Glasgow-built locomotive has come through public donation, amounting to around £118,000, with the grant award helping to meet the sale price and contributing to the loco’s future conservation. A formal 45170 Appeal launch will take place at the ‘8F’s’ Bo’ness & Kinneil Railway (B&KR) home on April 1 to kick-start the fundraising for the loco’s restoration. Until such a time that this work can begin, No. 45170 will remain on display in the B&KR’s Museum of Scottish Railways at Bo’ness, where it helps to tell the story of Scotland’s extensive locomotive export business.